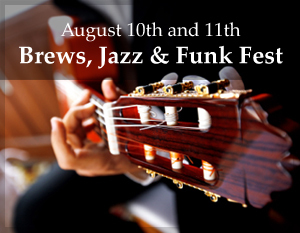 Rock out with friends and family at Squaw Valley’s Brews, Jazz & Funk Fest August 10–11, 2013. Along with a fantastic music line-up, enjoy sampling the latest and greatest beer creations from more than 40 breweries. The event is hosted by Squaw Valley USA and takes place in The Village at Squaw Valley resort. The $5 entry donation benefits the Humane Society of Truckee-Tahoe, and beer tickets cost $4.00 each. It doesn’t get much better than good music and ice cold beer. For more event info, see the festival’s website. Visit our Lake Tahoe events calendar for more Lake Tahoe events and entertainment that the whole family can enjoy.